For several decades, Subaru was known for creating SUVs-which adopted hatchback and station wagon design cues-as more practical variants of its small and midsize sedans. That changed with the arrival of the Ascent at the LA Auto Show on November 28, 2017. When it finally arrived in showrooms nationwide for the 2019 model year, it officially became the Japanese automaker's largest and first three-row SUV. Designed and marketed as a midsize vehicle, the 2019 Ascent is available in four trim levels: a base-level model, the Premium, the Limited, and the Touring. 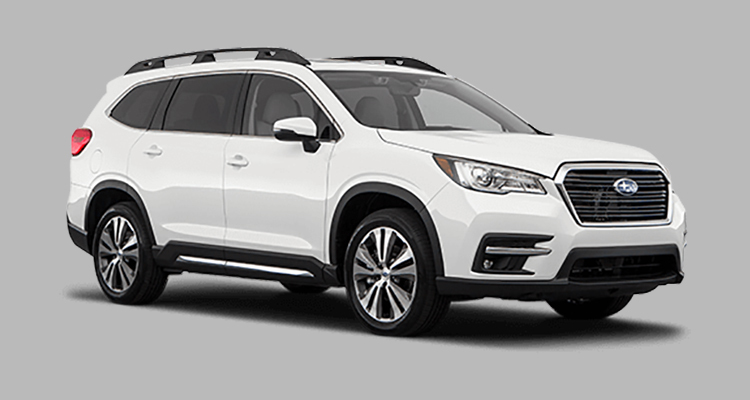 Powering all trim levels of the 2019 Subaru Ascent is a 2.4-liter turbocharged 4-cylinder engine that produces 260 horsepower and 277 lb-ft of torque. This engine is hitched to a continuously variable transmission, which provides a smooth driving feel due to the lack of gear shifting. 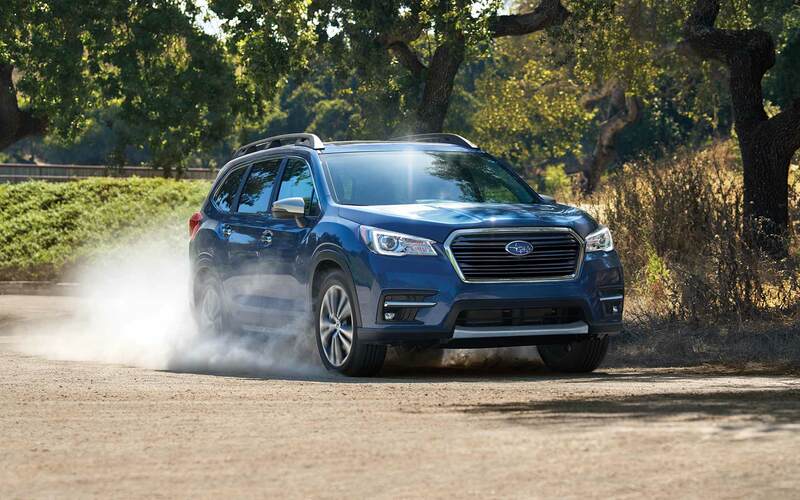 Like other Subaru vehicles, the Ascent uses a standard all-wheel drivetrain for optimally fighting slippage on surfaces compromised by rain, snow, and ice. The drivetrain is accompanied by X-MODE® technology to further strengthen the vehicle's capability of maintaining tire grip on the road. Thanks to its three rows of seats, you can seat up to eight people. Passenger volume is measured at 153.5 cubic feet. Maximum standard cargo space is measured at 17.6 cubic feet, with expansion to 47.5 cubic feet behind the second row and 86.5 cubic feet behind the front seats. Three-zone automatic climate control, 19 cup and bottle holders, Apple CarPlay™ and Android Auto™ for smartphone integration, six-speaker audio, an AM/FM radio tuner, a single-disc CD player, HD Radio™, Bluetooth® wireless technology for hands-free phone operation and audio streaming, SiriusXM® satellite radio service, two front and two rear USB ports, and Starlink™ infotainment integration with a 6.5-inch LCD touchscreen are some of the base-level comfort and convenience features. For safety, the Ascent starts with features such as six airbags, a rearview camera, electronic stability control, traction control, active torque vectoring, trailer stability assist, brake assist, brake override, four-wheel anti-lock disc brakes, daytime running lights, hill descent control, a theft-deterrent system, and EyeSight® driver assistance technology (which combines adaptive cruise control, lane keep assist and sway warning, and pre-collision braking and throttle management). 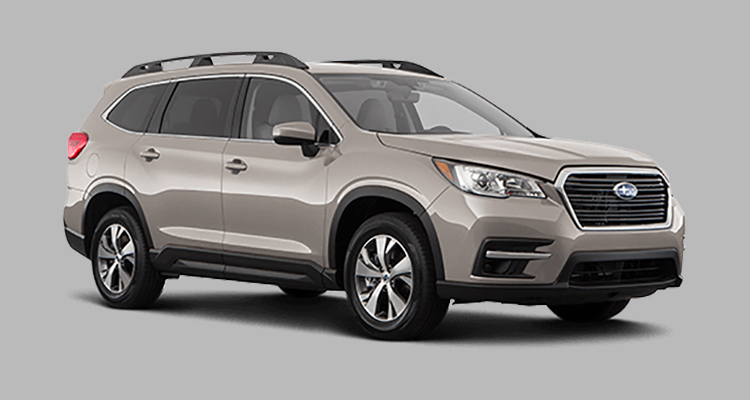 At the Premium trim level and up, the 2019 Subaru Ascent can tow up to 5,000 lbs (as opposed to 1,500 lbs. on the base-level trim). On the Premium, you can exchange the second-row bench-style seat with a pair of captain's chairs to reduce maximum occupancy to seven. The front of the vehicle is enhanced with front-seat heating, a leather-wrapped steering wheel, and 8-way power adjustability on the driver's seat. Comfort and convenience are improved with the appearance of second-row climate controls, 4G LTE Wi-Fi capability for wireless Internet access, an auxiliary audio jack for playing media from mobile devices, and an 8-inch LCD touchscreen in place of the 6.5-inch one. For safety, the Premium is boosted with blind-spot detection, rear cross-traffic alert, and the Starlink™ Safety and Security package (which includes functions or services such as remote locking and unlocking, automatic collision notification, SOS emergency assistance, stolen vehicle locator, roadside assistance, and security alarm notifications). At the Limited trim level, cloth seat covering is replaced by leather, the steering wheel gets heating ability, and the front seats are upgraded to a 10-way power-adjustable driver's seat (with power lumbar support and 2-position memory function) and a 4-way power-adjustable front-passenger seat. Comfort and convenience upgrades include keyless access, push-button engine ignition, a garage-door opener, two more USB ports (which go in the third row), and auto-dimming ability on the rearview mirror. In addition, the analog instrument display will be upgraded to an electroluminescent one. Reverse automatic braking and LED steering responsive headlights constitute the safety feature upgrades. The Touring is the top-level member of the Ascent's trim levels. However, bear in mind that it is the only variant that has second-row captain's seats as standard, thus reducing maximum occupancy to seven. Here, the front seats have ventilation ability in addition to heating, which is extended to the second row. Comfort and convenience are maximized by enhancements and additions such as a panoramic power moonroof, a smart auto-dimming rearview mirror, a 14-speaker 792-watt Harman Kardon® audio system, and 8-inch touchscreen navigation. (The moonroof reduces the amount of passenger volume, standard cargo volume, cargo volume from the second row, and maximum cargo volume are reduced to 150 cubic feet, 17.6 cubic feet, 47 cubic feet, and 86 cubic feet, respectively.) Also, while other trims have a rearview mirror, it is replaced with a surround-view one for a much wider, 360-degree viewing perspective on the Touring. 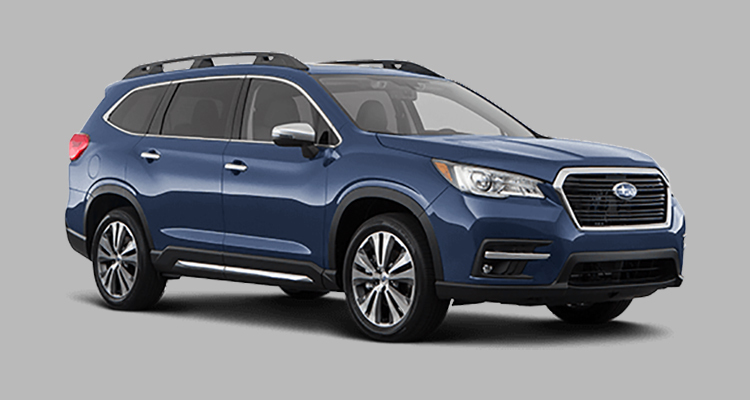 For more on the 2019 Subaru Ascent, as well as 2019 Subaru Ascent Trim Levels, call us at Flatirons Subaru today to set up an appointment at our dealership Denver Area. Our location is renowned for serving Denver Boulder Longmont Colorado customers with high-quality vehicles. At our dealership Denver Area, you will be able to meet Kia experts who will help you through the buying process; we have earned its sterling reputation for serving Denver Boulder Longmont Colorado customers. 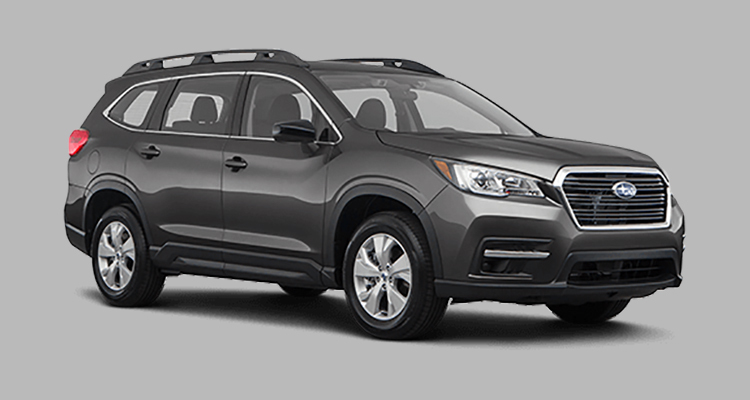 Test-drive the 2019 Subaru Ascent Trim Levels at our place, which is famous for serving Denver Boulder Longmont Colorado, to figure out the best Ascent for you. *Article for general informational purposes; for complete trim level details, please contact the dealership.